This stock photo collection of Whistler includes stock photography from Blackcomb Mountain, Whistler Mountain, the Village of Whistler and the 2010 Olympic Park Nordic Sports Venue in the beautiful Callaghan Valley. 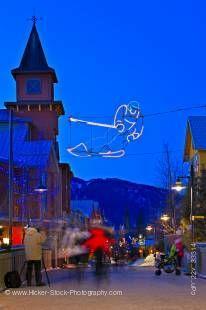 Other stock photos show typical winter activities in and around Whistler like skiing, snowboarding, apres ski, shopping and others. Please check out my main site for more of my photos of Whistler.